Online video has seen a huge spike in popularity that will only increase. This begs the question: What do we mean by video? A video can take many shapes and forms. It can be a Flash video (created in Adobe Flash), an HTML5 video (created in a few different programs such as Adobe Muse or Dreamweaver), or just a regular ol’ video (also created in a few different programs such as Final Cut Pro or Adobe Premier). In short, there are a few options when creating a video. We can build videos differently depending on what you are trying to accomplish visually. For example, different final exported files work better or worse in various social media environments. Interamark can help you figure this out, but below are some helpful essential tips for creating a video that works! Your video should lend itself to a narrative curve, including a climax and resolution. If you have a product or service you are trying to sell, don’t use the entire length of your video making a sales pitch. Instead, create a narrative context around the product. Think in terms of seconds, not minutes. For online videos, start thinking in the 20-second range if you can. Once a user hits play, that video has a very short amount of time to capture their attention before they’ll start browsing some other site. The absolute longest your video should be is 3 minutes. If you are trying to convince a reader to complete a complex, or prolonged action, consider breaking up your content into smaller pieces—each with one specific call to action. In contrast, videos should have a very simple and direct call to action. A prominent, targeted statement, offer, or question can compel your visitors to convert into a lead or a sale. There are many ways to drive more leads through a call to action embedded links and video tracking like tools Google Analytics, or Wistia. Companies like these provide tools where we can measure and improve your videos with powerful analytics. 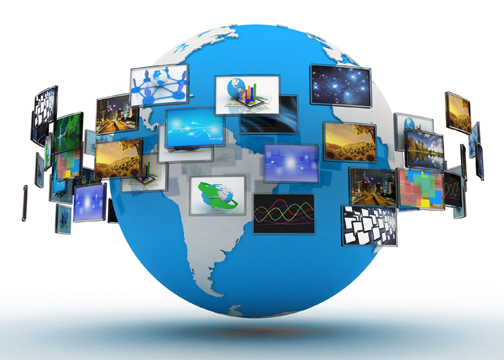 Interamark can help you convert viewers into leads with tools built for business.